"We’re using this all-programmatic approach because we can now effectively target this audience by analyzing their behaviors and actions online to deliver a more relevant, personalized experience across every touchpoint." 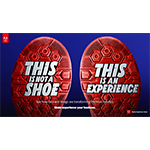 SAN JOSE, Calif.--(BUSINESS WIRE)--Adobe (Nasdaq:ADBE) today announced the launch of its global “Experience Business” campaign, the largest cross-media ad campaign to be implemented solely through a programmatic platform. 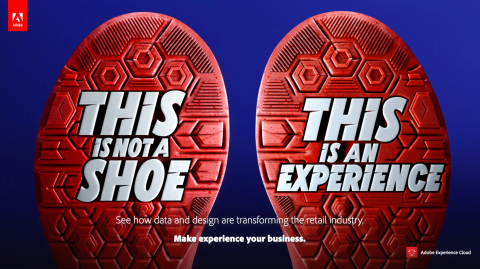 The campaign emphasizes Adobe’s belief that deep intelligence and amazing design are fundamental to creating compelling experiences that help brands stand out. Participating brands include Caesar’s Entertainment, Carnival Corporation, Franke Group, Holland America Line, Pandora, Princess Cruises, Sydney Opera House, UBS and T-Mobile. The initial rollout is planned for the U.S., U.K. and Germany starting November 13. Adobe’s “Experience Business” campaign will be bought 100 percent programmatically through Adobe Advertising Cloud, part of Adobe Experience Cloud, and will bring to bear the full power of the industry’s most transparent, cross-channel advertising management platform. The campaign will target C-level executives including CMOs, CIOs, CDOs, CTOs and CXOs and will leverage high-impact design and media formats across a diverse range of channels. Buying methods include a combination of real-time bidding (RTB) and non-guaranteed direct buys via On-Demand, Adobe Advertising Cloud’s premium publisher marketplace. The campaign creative, developed jointly by Adobe’s in-house creative team and partner agency Goodby Silverstein & Partners, depicts seemingly everyday objects with the tagline “Make Experience Your Business,” conveying how companies must think beyond the products they are selling – they must provide a truly exceptional experience around their products to really stand out. The comprehensive campaign features a reimagined Adobe.com experience and is the centerpiece at Adobe’s events worldwide. Adobe continues to use its data solutions to find new ways to effectively reach new audiences and measure the impact in real time. Project Relay, for example, is Adobe’s homegrown model for measuring how paid media moves customers toward free trials, and then paid conversions. The project was awarded an ANA Genius Award last month for effectively using analytics to make sense of big data and prove the value of marketing. See more info here. Adobe Advertising Cloud is the industry’s first end-to-end, independent platform for managing advertising across traditional TV and digital formats. By focusing on brand safety, improving transparency and leveraging the full power of Adobe Creative Cloud and Adobe Experience Cloud, our platform enables advertisers to gain greater control of their global advertising spend and achieve their business objectives The platform already manages roughly $3 billion in annualized ad spend on behalf of more than 1,000 global clients, including Allstate, Ford, Johnson & Johnson, Kraft, Liberty Mutual, L’Oréal, MGM, Nickelodeon and Southwest Airlines. 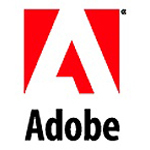 Learn more about Adobe Advertising Cloud.